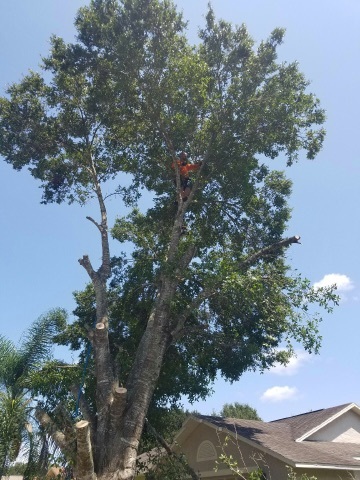 Looking for the best tree service St Cloud FL has to offer? We understand that it can sometimes be frustrating when you are trying to find a qualified tree service to handle your needs, but at our tree service company, we make it easy. The Tree Service Company aka Ron's Quality Tree Care is a St. Cloud based tree service and services most of Osceola and Orange county: Visit our Orlando Tree Service Page. We are Saint Cloud's highly rated tree service. I'm Ron, and I run the business. I started with a chainsaw and a truck and have developed this business into what it is today. We have come a long ways from those days. We are excited to help you with your tree care needs: Take a peak at some of our work. Our professionals are highly trained to diagnose a tree problem and execute the best possible remedy without sacrificing the trees beauty. 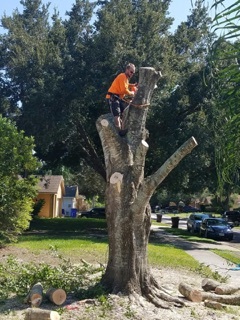 We have been carrying out tree removal, stump removal, cutting and trimming services for several years. Irrespective whether it is a small or a big tree, we equip our professionals to deal with them all. Apart from improving the tree's overall look, our experts can also remove selective branches from the tree crown to allow adequate light and reduced wind resistance. Prior to performing any task, if necessary we ensure that the neighboring properties are well informed about any expected disturbances. 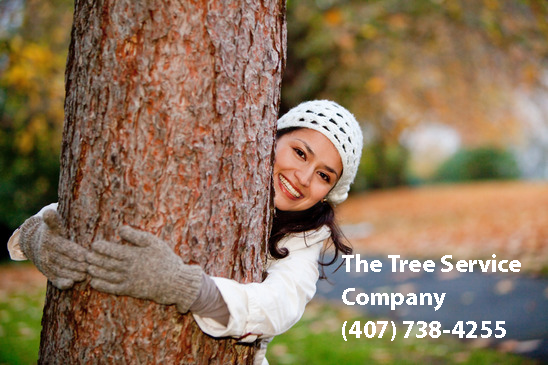 We offer tree service in St Cloud FL you can depend on. Most importantly, our experts tailor their work to fit these requirements. 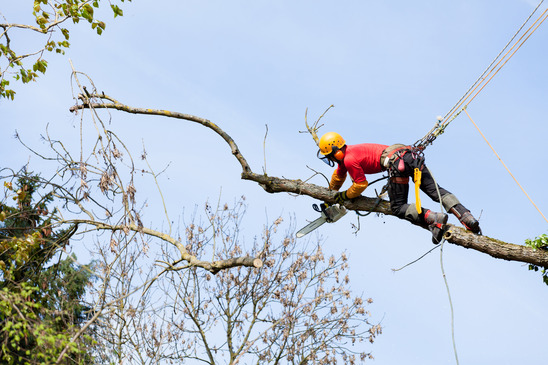 We operate using the latest machinery, tools and equipment for removing overhanging, dangerous and even the most remote trees. In case you feel you have a situation on your hands that is potentially out of control, we are just a phone call or an email away. I promise that we will do what is best for you and your trees at an affordable price. I would love to give you a free estimate. Your safety and ours is paramount. We utilize all of the proper equipment to stay safe and handle any type of tree work. Are you looking for tree maintenance right here in St. Cloud, FL or maybe the surrounding areas? Are you dealing with a sick tree or group of sick trees? Our experts are highly skilled in determining the cause of diseased trees. We can properly diagnose and advise you on whether the tree or trees can be saved. Many times insects or improper shading can cause problems with surrounding trees. Call us today, so that we can give you a plan and prescription on how to save your favorite trees. Are you the dealing with residual storm damage or another problem tree? ->We are here for you 24/7 to help you maintain order at your home. 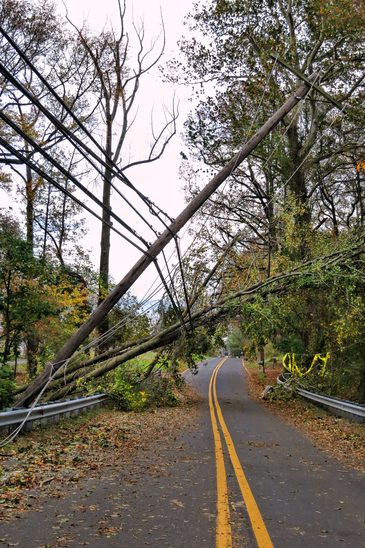 Note, if you are inquiring after a major storm, make sure to contact us immediately because we handle our clients on a first come, first serve basis. We want to make sure that we attend to you in the quickest most efficient manner possible. With that said, we want to get you into the cue as quickly as possible. We are here to serve you. No situation is too big for us. Our professional service team is skilled in all types of disasters and removals. Even if you feel that your situation is beyond help, give us a call to see what we can do for you. We have the ability, experience and machinery to deal with a small tree to an out of control sycamore or conifer. Whenever a tree needs to be removed, our experts apply appropriate techniques and methodology that ensures safety for surrounding areas. Some of the factors like the kind of access available, amount of space, and tolerable levels of ground disturbance are also considered. Our staff has received specialized training to serve a diverse range of commercial and private clientele. 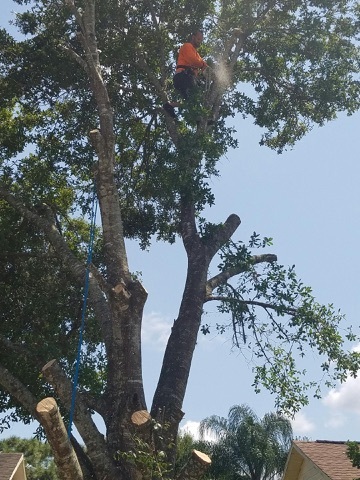 Being able to remove all kinds of species and different sizes of tree, makes our tree specialists rise above challenging situations and surroundings. Removal work is carried out in accordance with professional and ethical standards. We strive to carry out such operations with minimal or no disturbance to nearby areas as much as possible. All of our customers can expect a thorough professional approach for the job undertaken. We also accept contract work in order to help you maintain order after a storm. Safety is always a priority, but you can also expect us to maintain cleanliness of your property. All the debris as work outcome would be cleared leaving the place tidier. 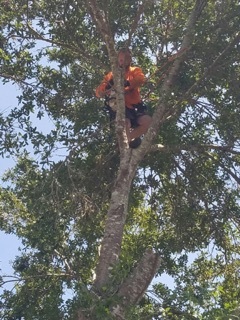 Most people are looking for tree trimming here in Central Florida. We find this especially true because storms are a part of life around here. Many people looking for tree trimming services are trying to ensure that their house or dwelling will remain safe should a bad storm roll through. We offer tree trimming services to domestic and commercial clients. Sometimes, outgrows (suckers) and additional branches needs to be trimmed. It should be done in order to leave the tree in a better shape and appearance which seems more natural. With a wide selection of ladders, hedge trimmers and scaffold towers, our experts are experienced in carrying out operation irrespective of complexity. Our staff members are knowledgeable about trees, are arborists and specialize in horticulture. They've received extensive training to make the work is carried out as per guidelines set by government standards for tree work. Tree trimming encourages air circulation which lowers the possibility of diseases and damage from strong winds. At the same time, it removes dangerous and unhealthy limbs which may fail to thrive and fall in severe weather. It enables the sunlight to reach your more hidden plants. It will also ensure proper care and maintenance of trees which can give a much more pleasing appearance and curb appeal. We understand the needs of every individual which can be different and there is no one size that fits all solution for the trimming projects. Our approach is tailor made to suit the need of clients, terrain and any number of tress irrespective of size. You can contact and get in touch with us for more information or a free no obligation quote. Tree pruning refers to the selective removal of branches from a tree crown in order to lower its density or size. Your tree is blocking the sunlight from the house or garden. Your decorative trees are gradually losing their shape. Your tree experiences battering with each winter from high winds. The tree is just too big. Many people don't know that they cannot run chainsaws into the dirt without major blade damage. Grinding out a stump and chemical removal are serious endeavors and require skill and experience. You will need specialized equipment to remove a stump permanently without harming surrounding areas. We are highly-skilled at stump removal. Our experts will determine the best way to remove the stump permanently while protecting the surrounding areas. They will give you a detailed plan and date of execution. After we are through, you might be surprised to remember that there was ever a stump there to begin with. Another area of specialization is the tree stump removal and we can dispose stumps of different sizes in all locations. For difficult to work areas and even rough terrains, we are prepared to face the challenges. After going through the pains of having a tree removed, it doesn't make sense to leave the stump sitting over there inviting parasites and problems. Besides, nobody likes to see old stumps along the rest of your landscaping while gazing out into the yard. They can really turn into an eyesore when weeds or similar plants grow on them over a period of time. Old stumps may also take up some valuable space as more and more people seek cleanest possible yards. Just like doctor can treat sick humans, our experts are also doctored to uproot stumps, clean up the mess and ensure hassle free flow of activities. Our experienced professionals always prioritize human health and risk while conducting stump removal operations. Be it branch failure, root failure, stem failure, crown twist or blow over, they are accustomed to dealing with all situations and surroundings. We can remove stumps of different sizes and shapes irrespective of surroundings while maintaining safety standards. All the machines, tools and equipment we have are suitable for range of building sites, gardens and establishments. Our experts carry out an inspection of the nearby regions to find out where to dig and where to avoid. Recognizing our proactive approach and work ethics, our clients keep on coming back to us. The list of our clients grows by constant referrals and references with the passage of time. Our stump grinding specialists employ proven methods to ensure the work is carried out by maintaining the highest professional standards. You can get in touch with us as our experts would evaluate the stump grinding needs prior to starting the actual work. Crown Lifting: Our experts would remove the lower branches to an acceptable height. It is the method we apply when low branches cause any obstruction or encroaching upon buildings. Crown Reduction and Thinning: Tree specialists in our team carry out crown thinning in order to lower crown density without changing the tree's overall shape and size. It reduces weight upon branches, lower the possibility of storm damage and wind resistance. Reduction and reshaping: Our expert professionals can reduce the tree crown without spoiling the overall shape and appearance. Crown cleaning: We can eliminate dead, broken, diseased or weak limbs and sucker sprouts from trunks. Size of dead limbs can be specified to improve appearance, structure and overall tree health. 1. Before the Disney World in Orlando changed the tourism scene in central Florida, towns and cities like St. Cloud seldom garnered much attention. In fact, it was developed as a city for war veterans, which is why it was called Soldier City. The otherwise sleepy town has emerged as an entertainment hotspot and also a tourist destination in the last two to three decades. 2. Located in Osceola County, Saint Cloud is a part of the metropolitan area of Orlando – Kissimmee – Sanford. Orlando is about 26 miles from the city. Saint Cloud has a population of more than 40,000 and is a relatively young city with the average age of residents being 36. 3. The few things that make Saint Cloud interesting are its recreational hotspots, entertainment, outdoor activities and a very robust job market. The influx of tourists is often deemed a bummer but those who like being in places of tourist interest will relish this reality. 4. The summers are hot and substantially humid which does make many residents unhappy but the overall climate is much more pleasant than some of the harsher climates up north. 5. It is a diverse resort city with plenty of schools, reasonable homes and a lot of things to do. The economy of Saint Cloud, FL, is relatively better when compared to the nationwide average. It has an unemployment rate of around 4% and declining which is a very positive sign, especially after the recession. The nationwide average of unemployment rate is well around 6%. The job growth in Saint Cloud is around 5% which is pretty positive and encouraging. 6. It is an affordable city, despite being a tourist destination. The cost of living is lower than the nationwide average by almost 2%. It is not surprising thus that the city has seen a sharp increase in its population. Over the last fifteen years, it has become populous by more than 55%. 7. Finally, it is known for its consistently growing real estate market. While median home costs remain affordable, the cityscape is expanding and obviously so because of the growth in population. It is the demand for new homes that has fuelled the growth in real estate. Fortunately, that has not caused a staggering inflation in property prices. Finally, it is also a good enough place for families with public schools spending more than $10,000 per student and the city having a teacher to student ratio of 1:18. 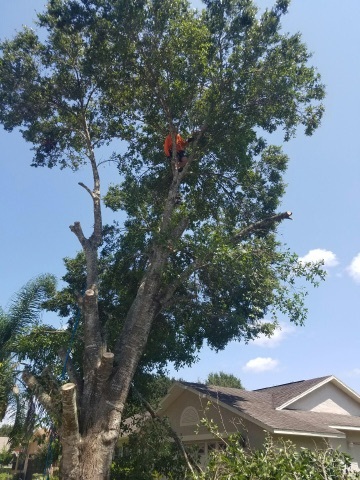 We are a professional, quality, top-rated, tree service provider in Central Florida, managing arbor related issues in Orlando, Kissimmee and St. Cloud. 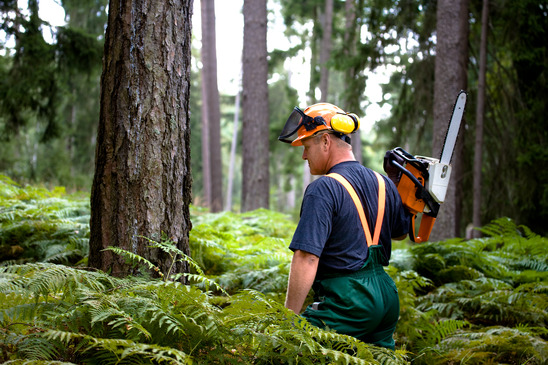 If you are looking for advanced tree care and trimming with the precision of a tree surgeon, you are in the best place.